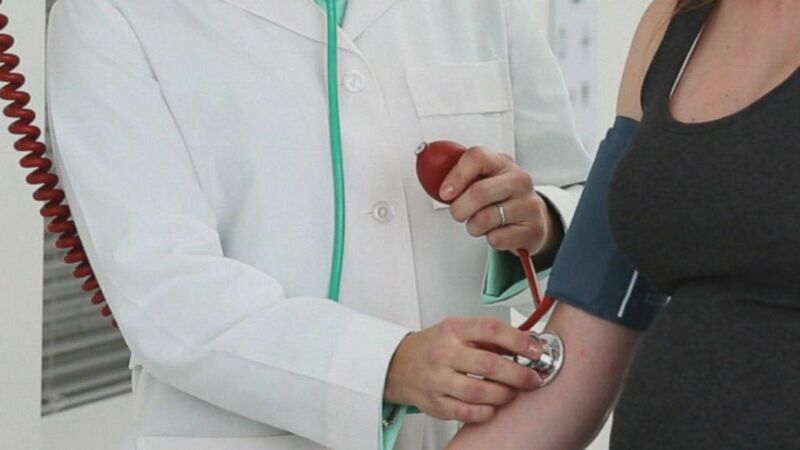 We have a “Gma” health alert for you about those new blood pressure guidelines. Recent changes are stirring up a debate between doctors whether they help or hurt patients and Dr. Jen is here with a reality check. A lot of controversy here. What’s the deal. Let me set this up. In November a group of cardiologists came out with new blood pressure guidelines that actually dropped the thresh. Hold limit that defines whether someone has high blood pressure. It used to be 140 over 90. Now it’s 130 over 80. Not everyone agreed with that so now a group of internists and family medicine docs are saying, hold on, not so fast. We have issues with this and questioning the data that went into this, whether the outcomes in this lower range of high blood pressure really warrant medication in some cases and I want to be very clear. In medicine in science any time there is a healthy respectful debate it’s not only good and academic exercise it’s good for patient care. When you hear them disagreeing, ooh, that’s not good. I say that’s great. That’s what advances medicine. That’s a way of looking at it. What are the risks of lower guidelines. You heard me say it before any time you talk about therapy or medicine weigh the risks. When you talk about the guidelines there are health and economic consequences of labeling someone potentially as unwell. There is financial costs of medication and there are side effects to anti-hypertensive meld indication, fainting and low blood pressure. Over 60 is a major group affected by these if if you don’t want to do meds but have high blood pressure. Other alternatives. To be clear the American heart association when they proposed these new guidelines said they thought it would only increase the number of people on medication by about 30%. Lifestyle modifications are the mainstay. They are the foundation and I want to go through with you some of these modifications and what they can do. So weight loss, we hear it over and over again. It can drop your blood pressure by one point for every kilogram of body weight lost. Diet, the heart healthy diet. A dash diet can drop it by 11 points. When you drop your dietary sodium it can lower another 5 points. When you increase potassium in your diet, dropping it another 5 points and exercise, alcohol in moderation and add up all these numbers, let’s say for argument sake I’m giving you an exam someone? Ablood pressure of 139 over 79. You do all those things, it can drop that top number by 23 points, now you no longer need medication. Numbers don’t lie. Lifestyle matters. Okay. Thank you, Jen.